I’m John Washington. I’ve lived in and around Scottsdale for the better part of two decades, and I’ve been involved in city government and neighborhood advocacy for most of that time. I’m also fortunate to have connected with many other folks who share my passion for Scottsdale and our residents, and I will share their opinions on these pages alongside my own. Scottsdale is many things to many people. However, there are common interests that make Scottsdale unique among our neighboring communities. We love Scottsdale because of the sense of community; our wonderful neighbors; the low-density, low-scale, suburban character; and easy access to great city amenities. ScottsdaleCitizen is committed to protecting, nurturing, and enhancing the qualities that make Scottsdale unique in all the world. These qualities afford us a reasonable cost of living along with great public services and public amenities. However, our community is facing very real economic and development challenges. Effective city government must be open and responsive. Leaders and staff must respect the citizens by reaching out to them early, sincerely, and with full honesty. They must fully involve the citizens in major decisions affecting the community. They should welcome citizen concerns and input, rather than ridiculing them. The citizens are the ultimate customers of city leadership, and they are the ultimate “bosses,” as well. 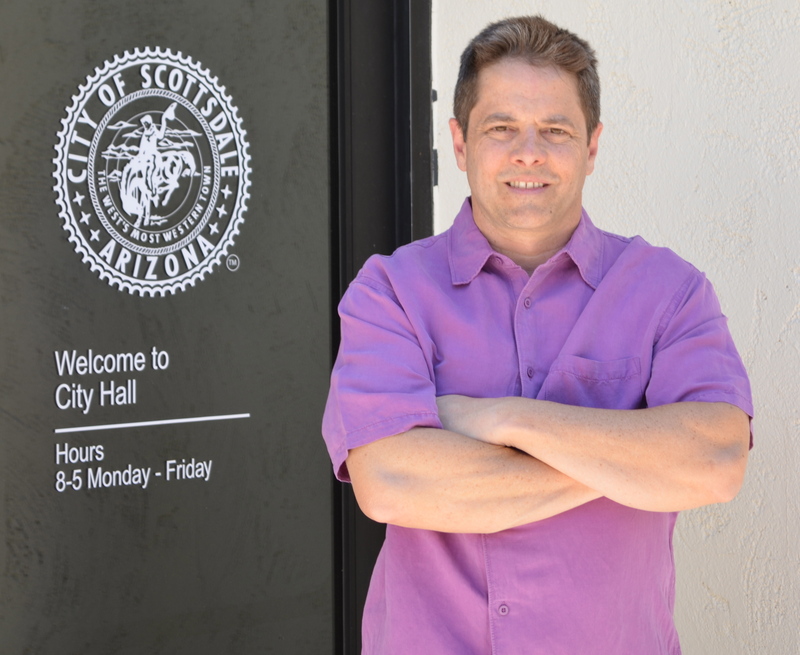 The goal of ScottsdaleCitizen is to restore respect, honesty, and trust to the partnership between Scottsdale’s citizens and their elected representatives. It is the only way we can pass on to our children a sustainable community where they can enjoy an ever-improving quality of life. To accomplish OUR goals of truly sustainable, high quality of life, we must work together. No government can function effectively without the cooperation and partnership of its citizens. The involved residents of Scottsdale are among the most intelligent and effective partners for which a city government could ever hope. Building consensus absolutely requires trust. Trust is built on experience. You and I have that experience together, and we have the power to change the status quo. We may not always agree on every thing. That doesn’t mean that those things are not important. I will absolutely consider all perspectives and possible solutions. However, you know where I stand on the important issues facing Scottsdale. My door is always open to you. I’d love to hear your opinion, rather than just waiting to entertain those who get paid to hang out at city hall so they can lobby for pet projects or corporate welfare. Does that make ScottsdaleCitizen anti-business? Absolutely not. Business–in particular small businesses and tourism-related businesses–helped build Scottsdale. They remain the core of our cache. I believe in the notion of a Chamber of Commerce working in partnership with residents for long-term sustainability (as opposed to “fix-and-flip,” short-term profitability). I believe we can leverage our quality of life and community amenities to attract more knowledge-based companies that provide information and connections through the World-Wide Web…and other businesses that have a small environmental and infrastructure impacts that will dovetail with our small-town charm.